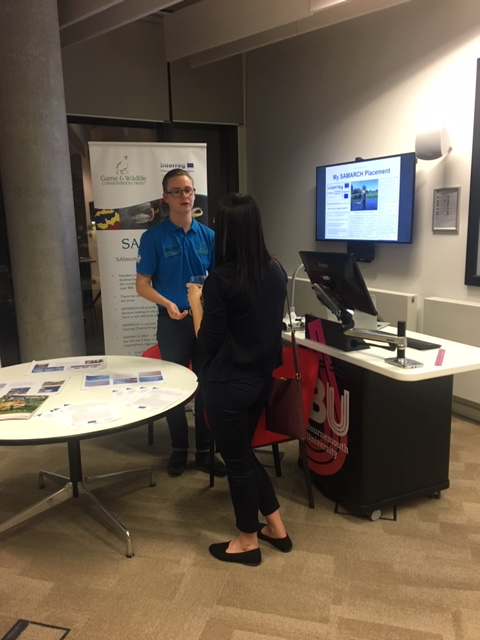 I attended a Career Spotlight event at Bournemouth University on Monday 15th October to present my own experiences with the SAMARCH project and to meet new inspiring people. The event started with a keynote speaker Brian Heppenstal from Hengistsbury Head followed by a panel discussion by Bournemouth University graduates and academics, including Professor Genoveva Esteban who also covered some of the SAMARCH project during the discussion. The event ended in a networking session where current students were able to ask more questions from the speakers and find new career opportunities. 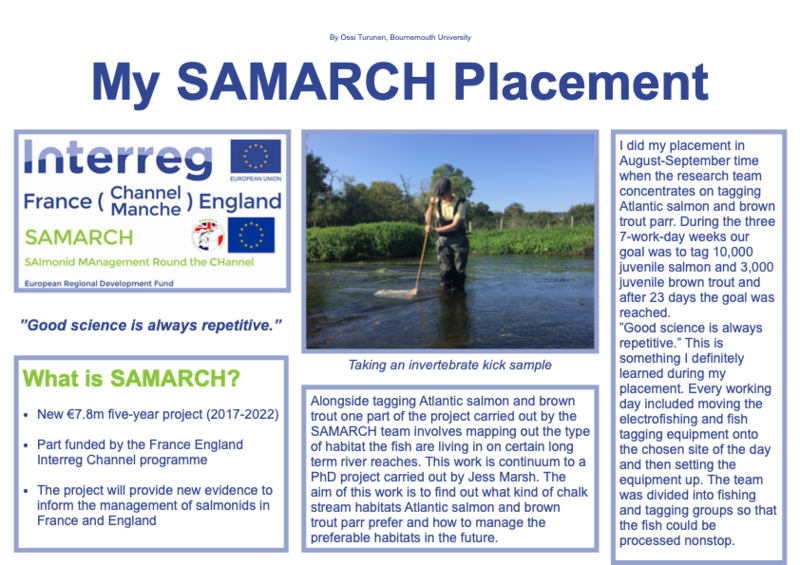 I had made a poster about my SAMARCH placement which I presented in the networking session. With Professor Esteban and Jack Dazley we had the chance to discuss with people about SAMARCH and promote the placement opportunities.